Legally Strawberry Blonde: Party Nails! Another post! I thought I'd share my super easy party nails I did for NYE and just to try out! Classic french tip with a bling twist! I did use fake nails. I admit it. I love fake nails. Why? My body can't grow long nails! Its one of the problems with my thyroid, a lovely side-effect, dry skin, hair and dry-brittle nails! 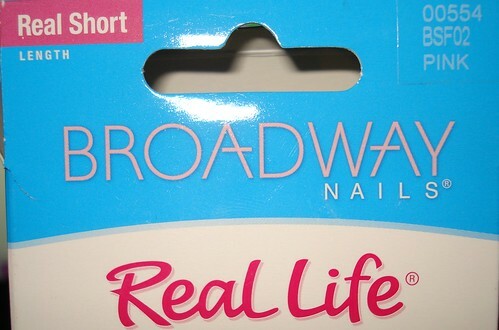 My favorite brand has to be the "Broadway Nails", natural, real-short length. They seriously look natural. It amazes people to find out that I have fake nails on. I don't suggest getting the pre-glued ones, they don't last nearly as long! These can easily last a week! And if one falls off, I keep the glue in my purse and its an easy fix! Or if you're home just rub a little nail polish remover to remove the glue and re-apply! Super easy and around $5! Much better then going to the salon and paying $35 for acrylics that will last 2 weeks! Plus, these aren't as much as a commitment! But I love these! To add a little bling, I applied a little stripe of silver-glitter polish from Milani (CVS), they have a great selection of nail art polishes, that is polishes with a fine brush to help with nail design! These are around $4- $5 but the one I used, "Art of Silver" is super impressive. 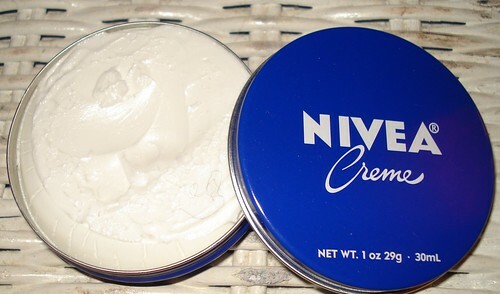 And while hopping around CVS I found this little tin of Nive Creme which is awesome for moisturizing super dry hands! And get this, $0.99, yes under a dollar! I'll shut up now and post the pics! Fav brand for glue-on nails! Heads up if you're looking for this, it comes in a clear little box! Keep your pretty party nail hands hydrated! New favorite!